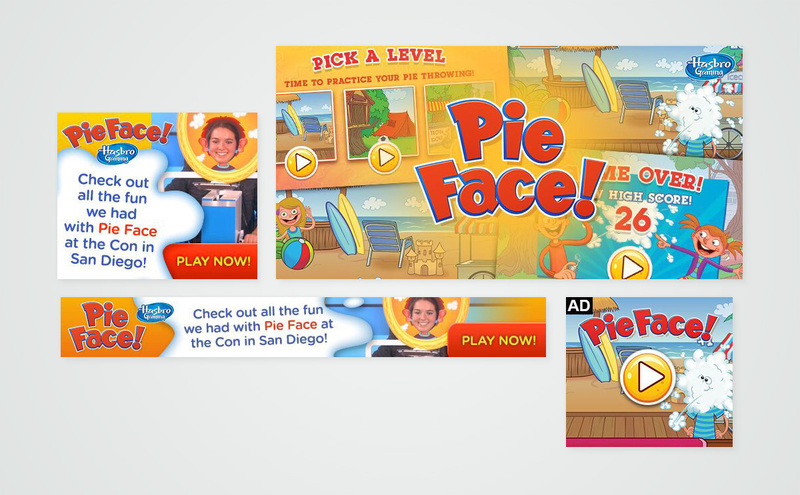 The Pie Face game brings friends and family together for lots of laugh-out-loud fun. You just put some whipped cream on the “hand” of this hilarious game unit and start turning the handles. It could go off at any time, so you have to keep your fingers crossed and hope you’re not the one who gets a splat in the face! 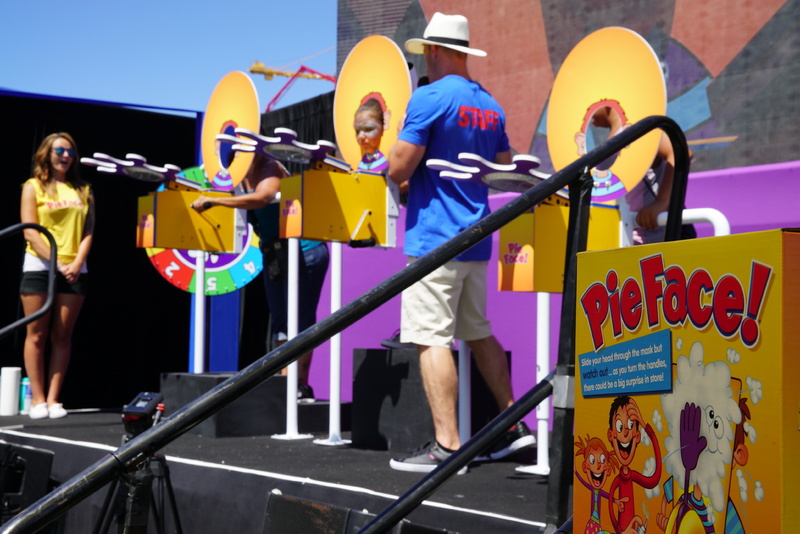 We designed the pieces of a life-size game version for Comic Con in San Diego. In addition to this, we created a landing page for Cartoon Network that would showcase photos/video from Comic Con as well as an online version of the game. To supplement the landing page, we designed banner ads for use across various web sites.